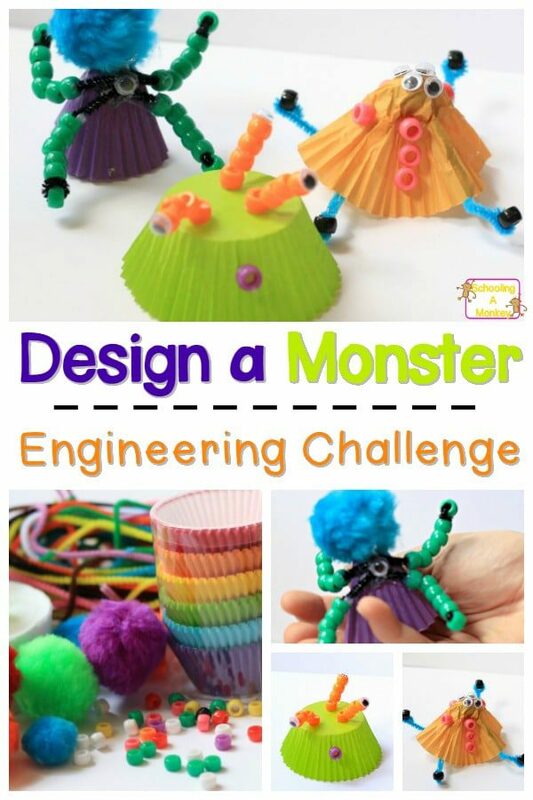 Bring engineering skills to life with this fun engineering activity for kids building a 3D monster craft for Halloween. Engineering has never been so fun! STEM activities are one of our favorite ways to learn at Schooling a Monkey. No matter the occasion, we like to celebrate with science, technology, engineering, or math activities. 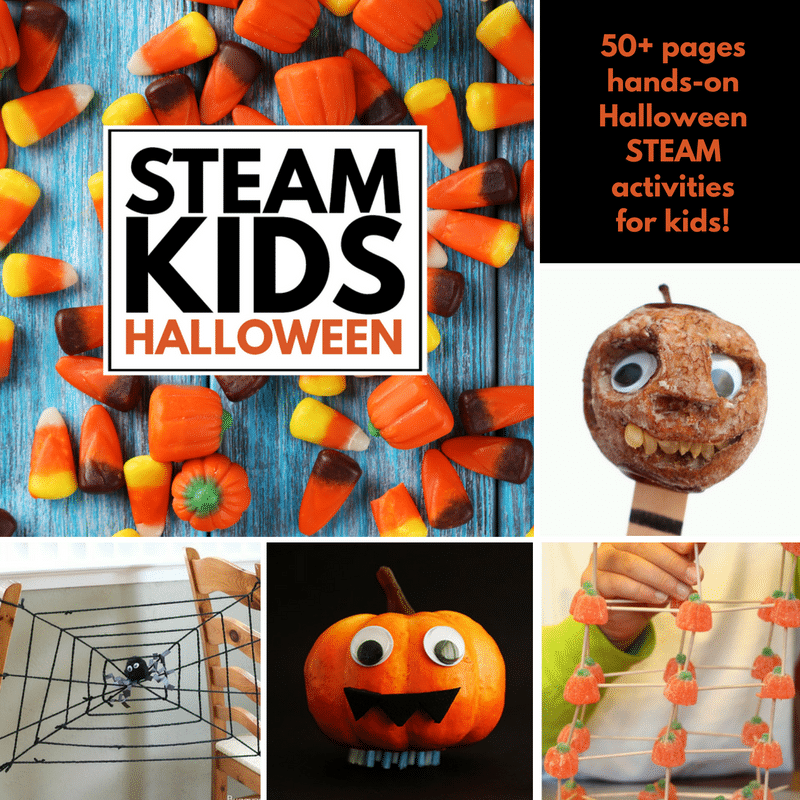 This Halloween, we decided to design a monster craft for a fun engineering activity. 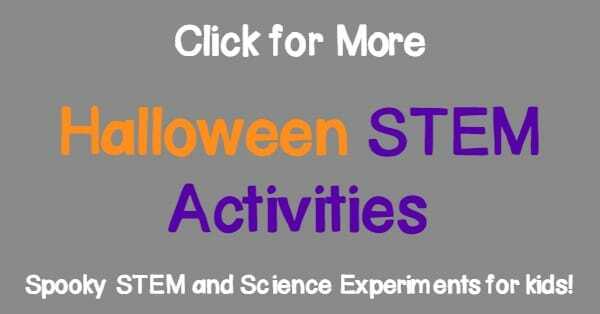 There are no rules for this Halloween STEM activity, which makes it the perfect way for kids to tinker with invention and creativity without fear of failure. 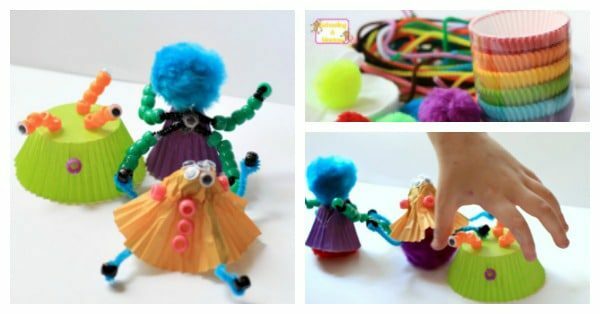 You may be surprised at how special and creative your kids monsters turn out to be! 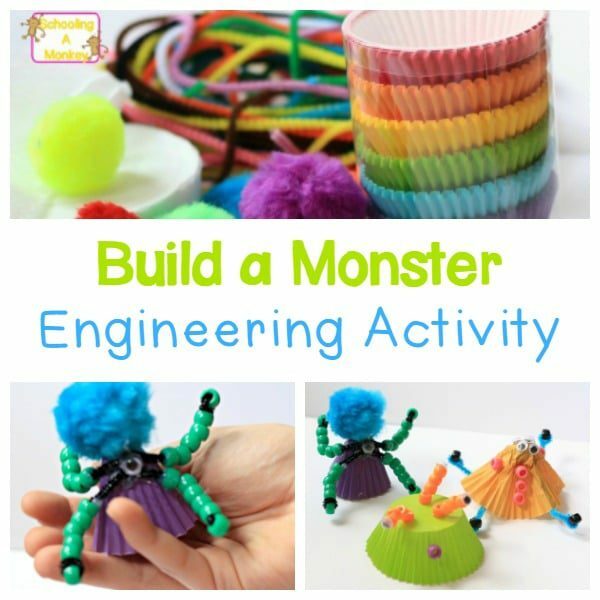 This monster craft is the perfect way to introduce engineering to kids during the Halloween season. We set up our engineering activity like a tinker kit. 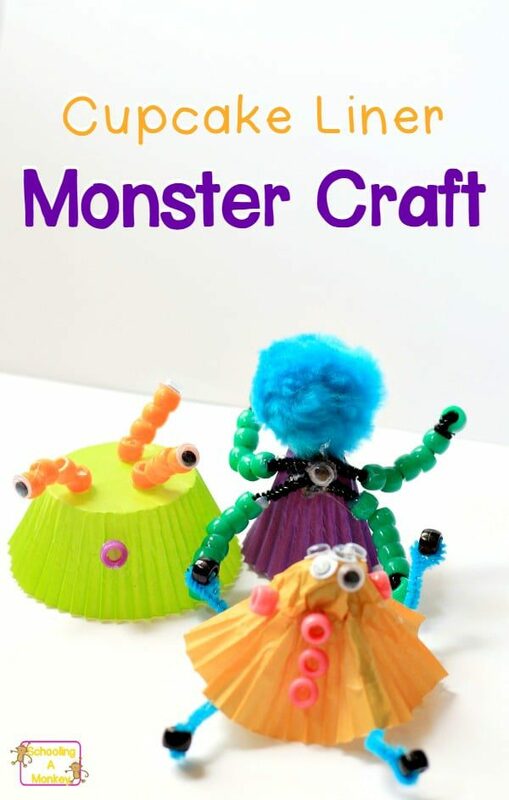 I had the items listed below at the ready for the kids to use in their monster creations. You can use whatever you have lying around at home. This is a great way to use up old craft/building supplies you might have at home leftover from other projects. 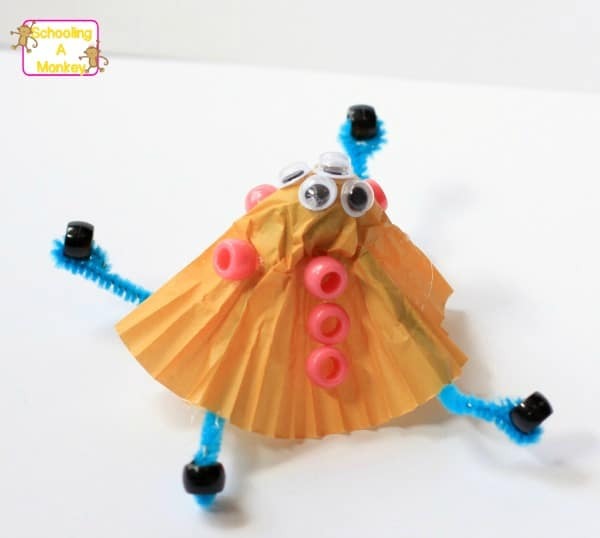 For this engineering activity, the first rule for our monster craft was that the bodies of the monsters had to be cupcake liners. The second rule was that the monsters had to be able to stand on their own. The rest of the design was up to the kids. Here are the designs we came up with. Use our designs as inspiration, or make up your own! This design was the most cupcake like design of all. It is my personal favorite. I love how the eyes turned out. 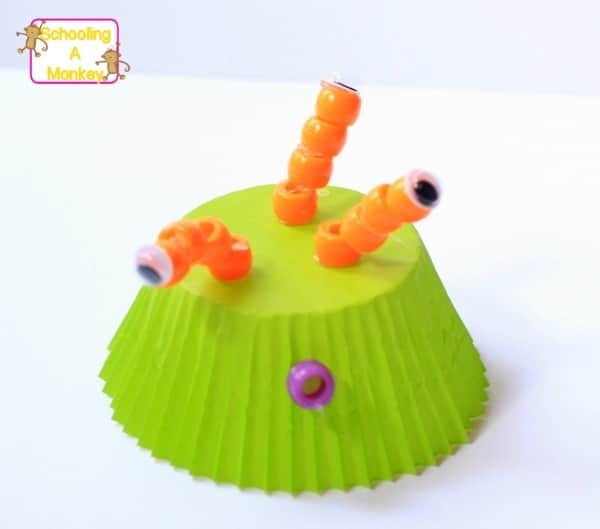 This design has a pom pom inside the cupcake liner to give the head a round shape. This monster was made by threading pony beads onto the chenille stems to make the legs/arms more like tentacles. A fuzzy pom pom is its head. « Leaf Chromatography STEM Activity: Remove Color from Leaves!